A decision by Japanese prosecutors to appeal against a court ruling to grant Hakamada Iwao a retrial will only add to the decades of psychological torture he has already endured, said Amnesty International. Hakamada, 78, spent more than four decades on death row before a court ordered a retrial and his immediate release last Thursday. “For 46 years Hakamada has lived under the constant fear of execution, never knowing from one day to the next if he is going to be put to death. This appeal will only add to his suffering,” said Roseann Rife, East Asia Research Director at Amnesty International. The prosecution’s appeal was lodged with the Tokyo High Court [late on insert day]. The court could take up to two years to rule. “This move by the prosecutors could deny an elderly man the retrial he unquestionably deserves. It appears to be a deliberate ploy to delay in the full knowledge that time is running out for Hakamada,” added Roseann Rife. Hakamada was sentenced to death in 1968 and was the longest-serving death row inmate in the world. After an unfair trial, he was convicted of the murder of his employer and his family. 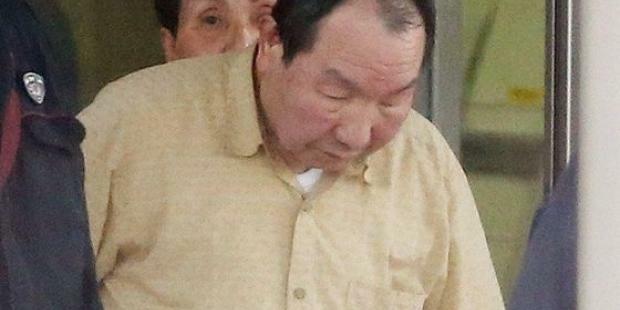 On Thursday, Shizuoka District Court granted Hakamada a retrial and ordered his immediate release. An attempt by prosecutors to block Hakamada’s immediate release was rejected and he a left a Tokyo detention centre on Thursday afternoon. Since his release Hakamada has visited a hospital in Tokyo to receive medical care.